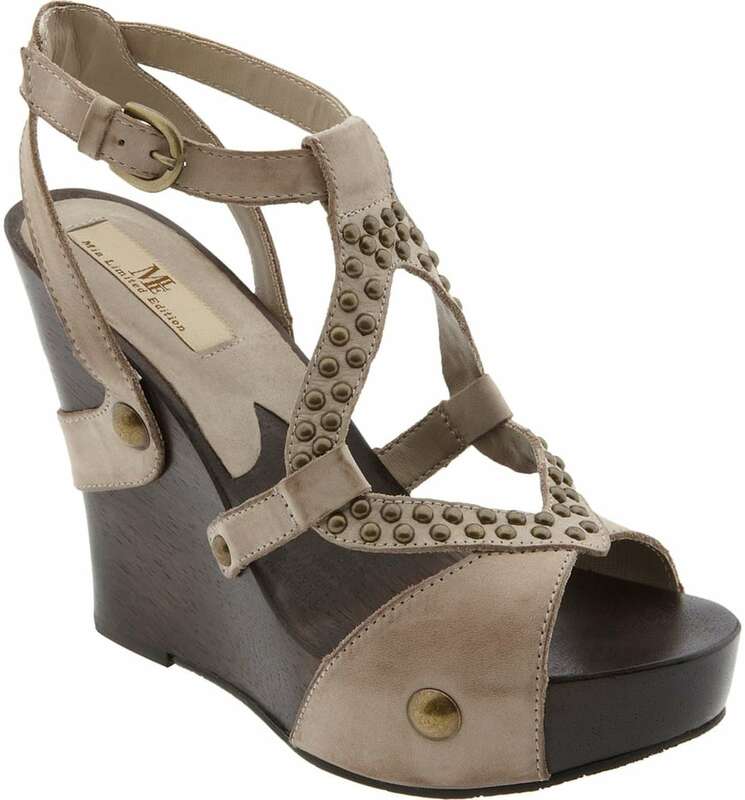 MIA Limited Edition - Adelphie wedge sandals. 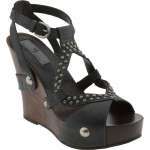 These stunning leather sandals are adorned with metal studs and have an adjustable side buckle for a perfect fit. 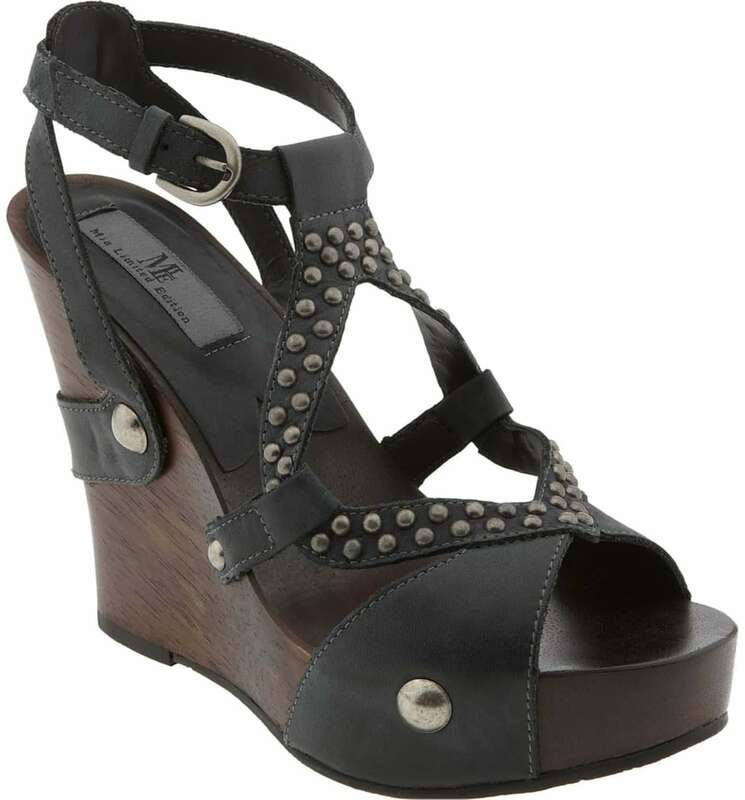 The elegantly shaped platform heel is made from one piece of beautiful wood.